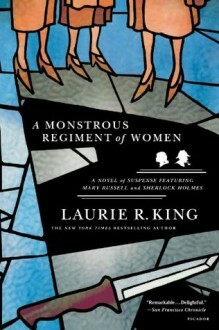 Winner of the Nero Wolfe Award It is 1921 and Mary Russell--Sherlock Holmes's brilliant apprentice, now an Oxford graduate with a degree in theology--is on the verge of acquiring a sizable inheritance. Independent at last, with a passion for divinity and detective work, her most baffling mystery may now involve Holmes and the burgeoning of a deeper affection between herself and the retired detective. Russell's attentions turn to the New Temple of God and its leader, Margery Childe, a charismatic suffragette and a mystic, whose draw on the young theology scholar is irresistible. But when four bluestockings from the Temple turn up dead shortly after changing their wills, could sins of a capital nature be afoot? Holmes and Russell investigate, as their partnership takes a surprising turn.